When the historic Ashland Springs Hotel deteriorated into hard times, it took a forward-looking couple–Doug and Becky Neuman–to bring it back to prominence, starting when buying it in 1998 at a bankruptcy sale. The building dated back to the early 1920s, when Ashland was a destination for Chautauqua lectures, Lithia Park, and springs with mineral-water cures. A group of ten Ashland businessmen bought a Portland architect’s sales concept of a “modern skyscraper for small towns,” and commissioned a nine-story hotel that topped out at 112 feet. The 100-room hotel opened on July 1, 1925, with an “elegant” dinner for 500 invited guests from Oregon and Northern California. Considered to be “luxurious, elegant, splendid,” the Lithia Springs Hotel then was the tallest building between San Francisco and Portland. Beautifully furnished throughout, the hotel featured a two-story lobby with a grand fireplace, terrazzo floor, a mezzanine, dining room, and a ballroom. The rooms had grand views of the surrounding scenery, and many had twin beds; eighty percent of the rooms enjoyed private baths. One year later, the hotel ran into difficulties when the passenger railroad changed its route to run through Klamath Falls instead of Ashland. Within two years, the Lithian Hotel Company with its ten investors was bankrupt. Subsequent owners with different remodeling and renaming became financially trapped by their dreams about the grand landmark that overlooked a small town. A modest renovation in 1937 reduced the number of rooms, reconfigured the upper floors, and erected a huge neon sign with the words, “Lithia Hotel,” on the roof. A 1950’s remodel tried to give the hotel a “modern” look with drop ceilings covering the ornately carved beams, carpeting over the marble mosaic floors, and Formica and chrome replacing the original accoutrements. In 1960, the hotel was renamed “The Mark Anthony” with a swimming pool, rooms consolidated the ballroom expanded, and introducing an English Tudor theme to tie into the growing Oregon Shakespeare Festival. By the 1970s, however, the hotel was seen as a place for cheap lodgings and apartments, as more tourists wanted motels with larger rooms and at least a bathroom. Although placed on the National Register of Historic Places in 1978, the once elegant hotel was shutdown by 1997. An auction had stripped it of its furnishings and the facilities were in desperate need of interior and exterior work. Doug and Becky Neuman had been living here for ten years. A real estate developer, Doug saw the real estate opportunities in the area and as a fine place to raise their two young children. He had been born in New York, raised in the San Francisco Bay area, moved to Los Angeles, and more recently had been building in Santa Barbara with its expensive real estate and regulatory restrictions. Becky had been born in Wichita, Kansas. Granddaughter to Sheldon Coleman, the outdoors enthusiast and owner of the world-renowned Coleman Company. Her father, Ralph “Bill” Rounds, of the Rounds & Porter Lumber Company in Wichita, co-founded Colorado’s Breckenridge Ski Resort. He was the largest private landowner in its Summit County, and served on the board of directors for Louisiana Pacific. He had lived in Ashland for the last ten years of his life, moving there when Doug and Becky did. Also Doug’s father Ralph Neuman, a recognized Holocaust survivor whose memoires have been published both in the U.S. and Germany moved to Ashland at the same time with his beloved wife Margaret. Starting at a small base, Doug built custom homes and condominiums, but with a silent partner (Reed Slatkin), he bought different projects, from Mountain Park Estates (Talent subdivision), Pleasant Meadows (Jacksonville), and Ashland Village. 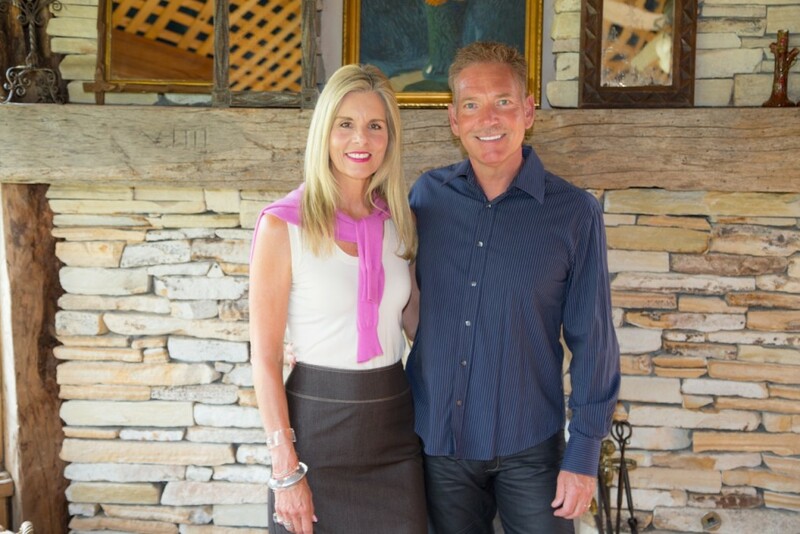 With this partner, the Neumans purchased the hotel in 1998 for $1.6 million from bankruptcy. A team specializing in historic restorations was hired to create the interiors, and the now 70-room hotel was renamed the Ashland Springs Hotel. New mechanical, electrical, heating and air conditioning, music, fire and safety, and Internet Systems were installed. The structure’s facade was completely refurbished and repainted. A conservatory was added into the ballroom with glass doors that opened onto a walled courtyard with a gazebo, fountain, and garden. Everything was gutted as the hotel was stripped to its reinforced-concrete frame and the interiors completely rebuilt. In April 2013, the Neumans purchased Lithia Springs Resort (on Ashland’s north side), the Lake of the Woods Resort, as well as the former Windmill Inn (now known as Ashland Hills Hotel & Suites). The former Windmill Inn had been closed since 2007, except for the 70-suite structure known as the “Village Suites at Ashland Hill” which was and is still in operation. Located close to I-5 on Ashland Street, this revitalization centered on the hotel’s 230 existing guest rooms and renovating facilities that include a large banquet room, two tennis courts, swimming pool, and another restaurant. Today, Ashland Hills Hotel & Suites features 173 rooms, and a hip on-site restaurant, Luna Cafe + Mercantile. In August 2013, the Neumans purchased the Red Lion Hotel in downtown Medford with an eye to similarly refurbishing the property. In a complicated transaction involving the Medford Urban Renewal Agency, city of Medford, and Lithia Motor executives, the couple turned the hotel into a destination for downtown Medford as part of the area’s upgrading. Today, Inn at the Commons has 118 rooms as well as the award-winning, on-site Larks Restaurant Lounge. Sources: Becky Neuman, “Ashland Springs Hotel: About the Hotel–History” at Ashland Springs Hotel (with Images); Greg Stiles, “An uncertain future,” Mail Tribune, January 28, 2002, at Hurdles Overcome; “Breckenridge Lands: Breckenridge Discovered,” at Ralph Rounds, Becky’s Father; Sarah Lemon, “Thinking Big,” Mail Tribune, April 14, 2013, at More History; “Ashland Springs Hotel owners buy former Windmill Inn,” Daily Tidings, April 5, 2013, at Windmill Inn Acquisition; Damian Mann, “Ashlanders plan major upgrade for Red Lion,” Mail Tribune, August 2, 2013, at Red Lion Purchase.